Every season calls for a playlist. From the crooning sounds of Frank Sinatra weeks before the holidays arrive, to a little Jack Johnson on the first warm day of the year. There is always an album that fits perfectly beside a season. As we prepare to set aside a little time to work remotely up in Michigan for a few weeks, we are pulling together some of our must-listen to albums for summer 2015. The albums mentioned below are older and newer, either way they are the perfect sounds to make this the best summer yet. You can see our full summer playlist on our Spotify account. Follow along! Over the next few weeks, the list will be growing, and we think you will enjoy the additions. Though a good playlist is essential to this time of year, we also believe that there is something beautiful about finding a few albums that on their own encapsulate a moment in a season. These are typically albums we choose to add to our record collection at home so we thought we would share these selections with you as well as a summer playlist. Our hope is to make this Monday a little less work focused and more about dreaming of summer days spent playing more than working or at least finding the perfect balance between the two. Isn’t that what summer is all about? Demarco’s voice is reminiscent of Bob Dylan with the added vibe of carefree California. This album is a great background to your summer days no matter where they take you. This album takes me back to those rebellious teenage years where I loved to break some rules, jump gates, and find secret creeks with friends. Angel is just kind of a badass, and I think you need an album in the summer that encourages you to live into your rebellious side even if it is just a little bit. This album is a little older, but the sound is so dreamy and reminds me of warm days in California. It is the perfect album for a dinner party or Sunday morning coffee in the sun while reading. Another older album, but a good one I recently discovered. The sounds of the album remind me a little of water and connects me right away to summer. The album is light and beautiful. It is perfect for any time during the summer. Brandi is always my choice for a roadtrip or a day of adventure. She does an excellent job of creating energy in her music that feels inspired by the ebb and flow of real life. Not to mention the girl can rock. If you are setting out on a day of adventure I suggest making this album part of your day. 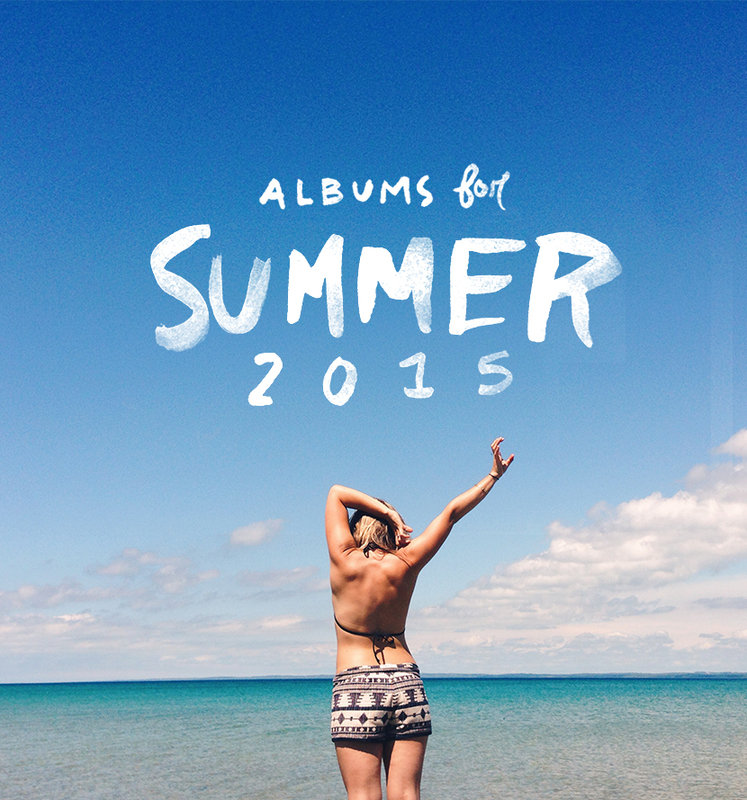 What albums are you listening to for summer 2015? If you have created a playlist for the season, please share the link to it below! Would love to hear what you are listening to this season.